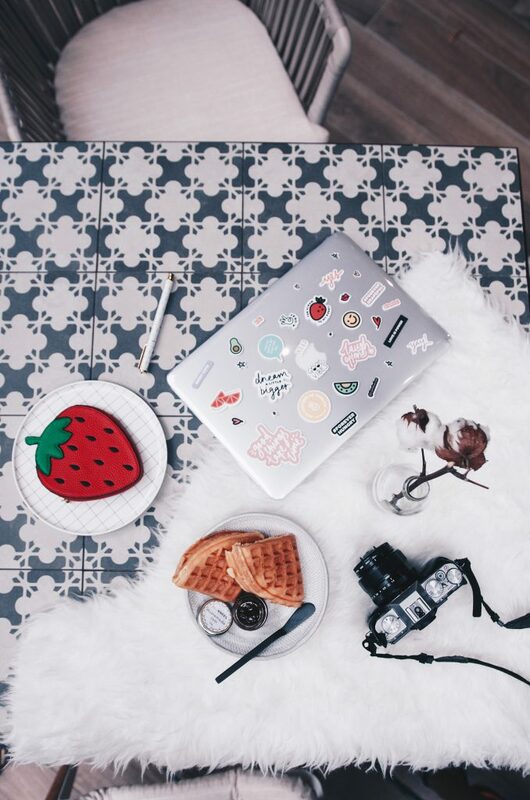 Social media personalities, or ‘influencers’, have been getting a bad rep.
A fair number of people see them as individuals who’re in the business just to go for free events and get free stuff – and all they need is to be photogenic and have a penchant for taking #OOTD shots. But many tend to miss out the fact that for those who take their jobs (and followers) seriously, there’s a lot of actual work (briefs, meetings, countless drafts) that go into each and every post. It’s not just capturing the perfect angles – it’s also crafting snappy captions that not just sell the products, but them as a personality as well. 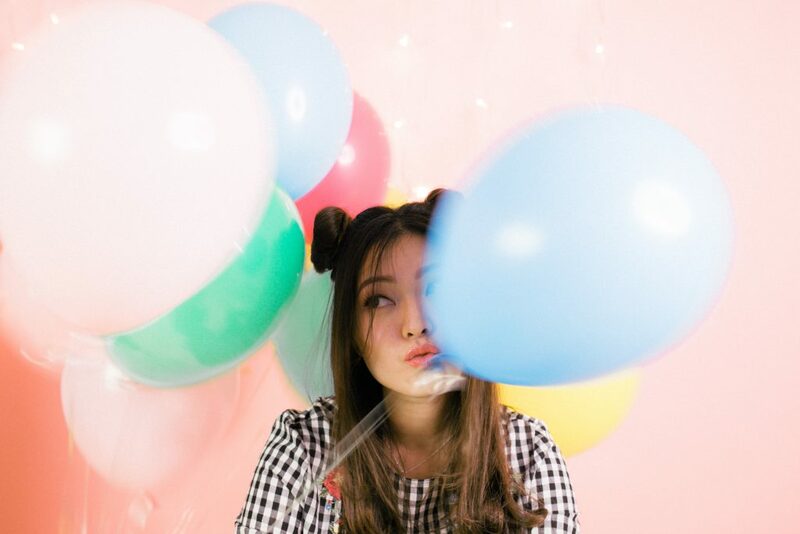 Christabel Chua, better known by her moniker @bellywellyjelly, is more than just another ‘influencer’. 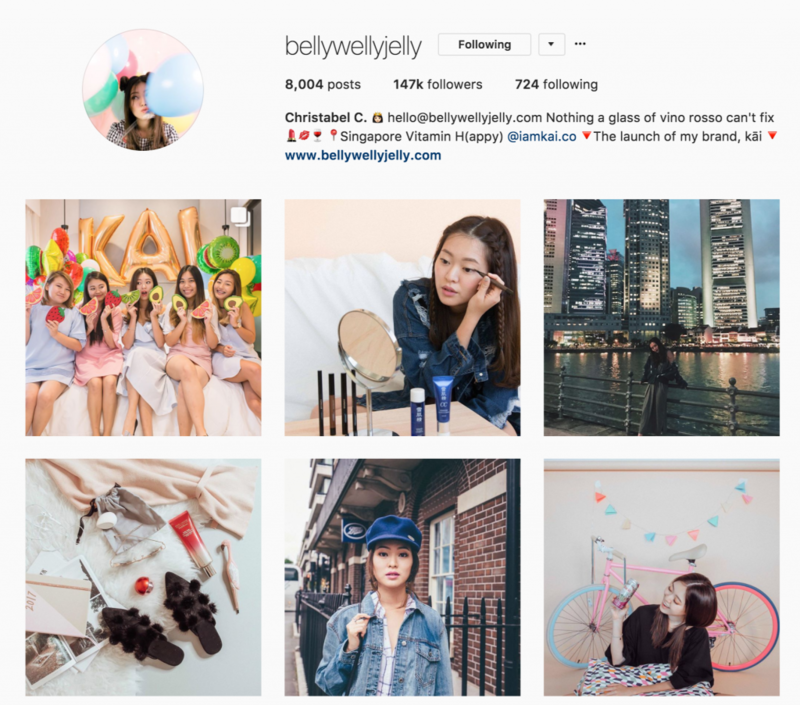 Take a look through her social media feeds, and you’ll find a young lady who’s not just sharing photogenic snippets of her personal life – you’ll also see very well-executed and carefully-curated collaborations with prestigious brands. And now, she’s now a budding entrepreneur as well. 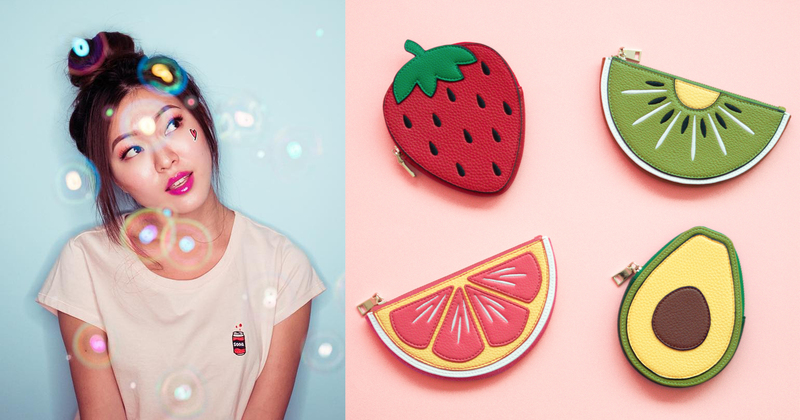 If you’re a follower of her Instagram account (like myself), you would have spotted her friends and herself carrying über cute fruit-shaped pouches. Initially thinking that it was a branded post, I soon realised that they were actually designed and created by Christabel herself. Bright, cheery, and fresh, I found that pouches a perfect reflection of the image she had worked so hard to build up over the years. Called kāi, the name is actually derived from the Chinese character 开 (kai), which translates to ‘open’. It’s also used in the word 开心 (kai xin), which means ‘happy/happiness’. “kāi is inspired by moments of happiness, and the idea of being fearlessly free,” states Christabel in her blog. But handling her usual sponsored posts and a new e-commerce venture no easy feat – how does she manage to wring the most out of every minute, and still maintain her infectious enthusiasm and energy? I got in touch with her to find out more about her new venture, and the story behind kai. Creating her own brand was actually a dream that followed Christabel since childhood, but she admits that it “took [her] a long while to figure out what [she was] passionate about and what [she] actually wanted to create”. Inspiration struck, however, when she was shopping in Australia. 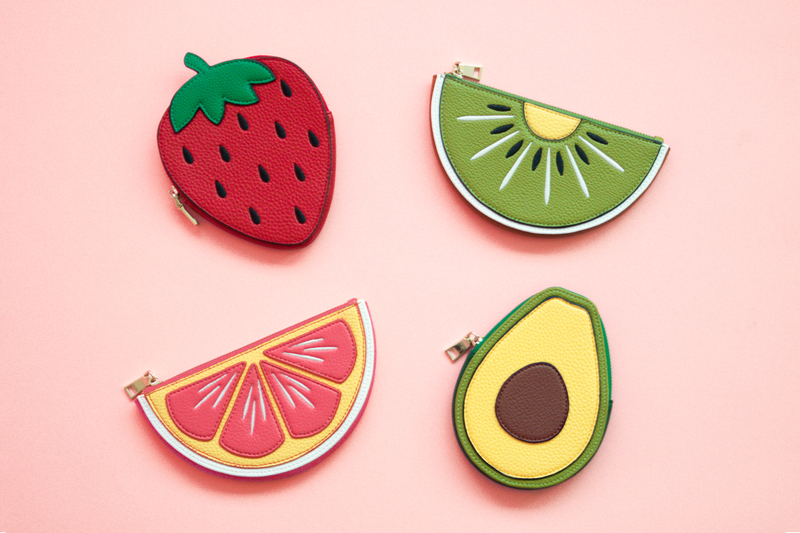 Inspired by the watermelon pouch that she saw in Australia, she starting thinking about the type of fruit pouches that she wanted to see in the market. But more than just peddling cute-looking pouches, Christabel reveals that she actually wants to “spread joy to anyone who is carrying kai pouches”. 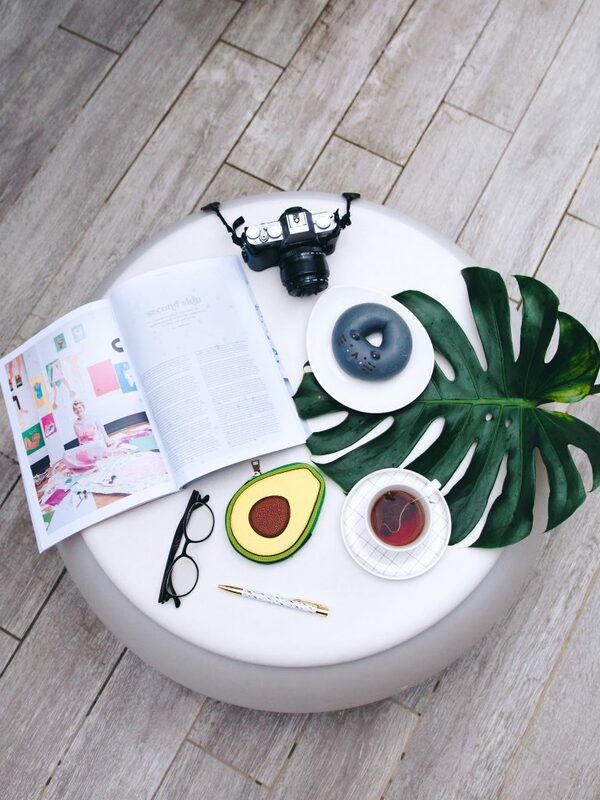 “We want to produce lifestyle items that you can use on a daily basis, and when you look at them you feel inspired, happy, and carefree” – which is very much like how one feels going through her photos and videos on social media. A plan 2 years in the making, a bulk of the time went into finding the right materials and the right manufacturer to produce the pouches. A frequent traveller for her assignments, Christabel gets to travel to countries far and wide, and this helped in her search for the perfect material and manufacturer. True to her bubbly, optimistic image, she states that she got through all the challenges because of how excited she was to bring the brand to life. Owning an Instagram account with over 147k followers is no mean feat, and Christabel admits that her experience had helped in the ideation process greatly. WE HAVE LAUNCHED!!! ⭐️ @iamkai.co @iamkai.co @iamkai.co | Tq for bringing this crazy idea to life @reckn_ @glenntaubenfeld @davianteo @itzeugena @nicolechangmin ✨ #iamkai Watch this in HD on my YT channel. Leave a comment if you have checked out our webstore! And this proved to be successful – as her debut collection sold out in just 5 days. After a very successful debut, the budding entrepreneur reveals that she’s currently thinking about future marketing campaigns of how to push out more pouches. This doesn’t mean, however, that she’s looking to mass produce her creations. When asked about future products we could expect to come from kāi, Christabel remains tight-lipped, but teases with the promise of “little knickknacks” and “switching up [the] collections”.